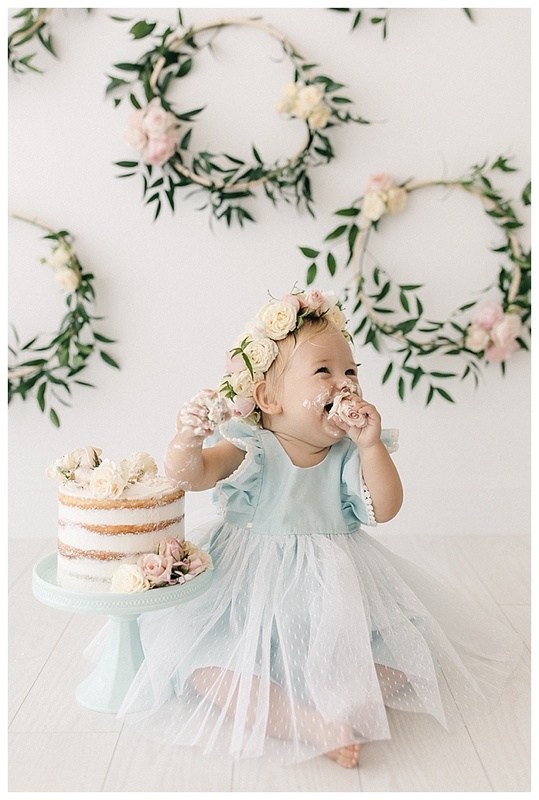 I’m not sure who came up with the tradition of doing a cake smash for baby’s first birthday, but whoever it was, I tip my hat to them. 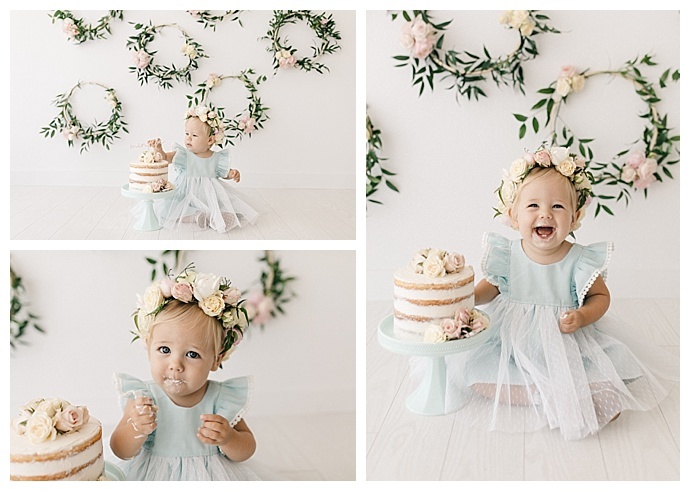 Is there anything better than babies covered in frosting, laughing gleefully? 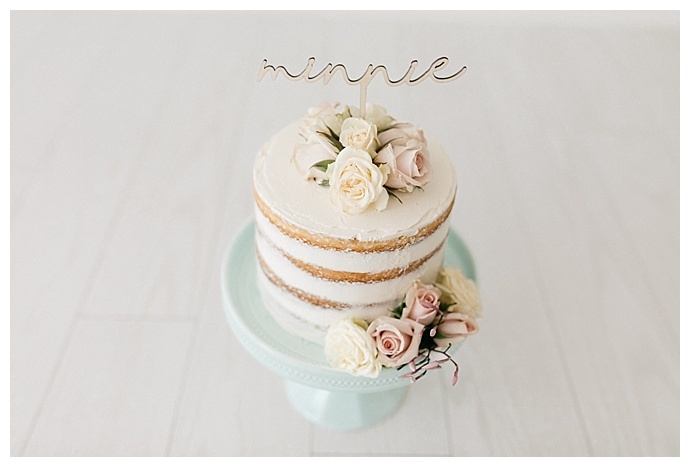 Sweet Minnie is ushering in her birthday (which is today!) 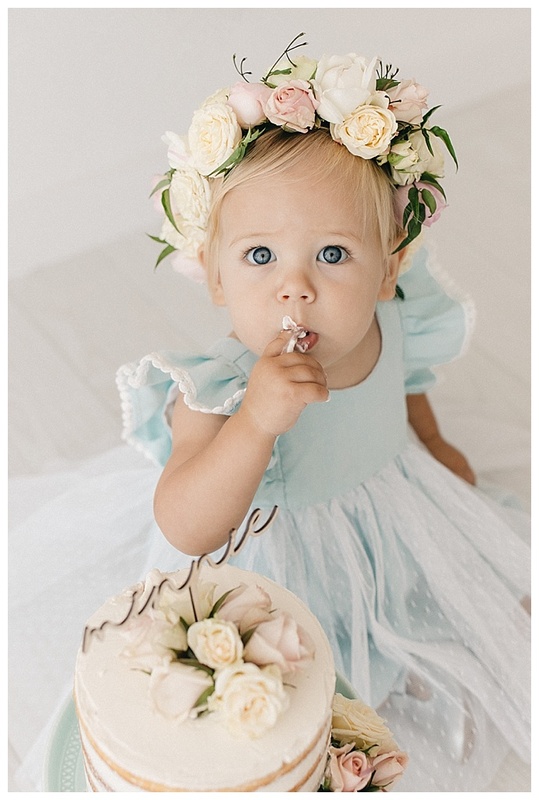 by getting her first taste of sweets and looking oh-so-cute doing so. 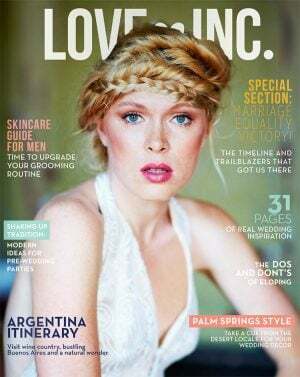 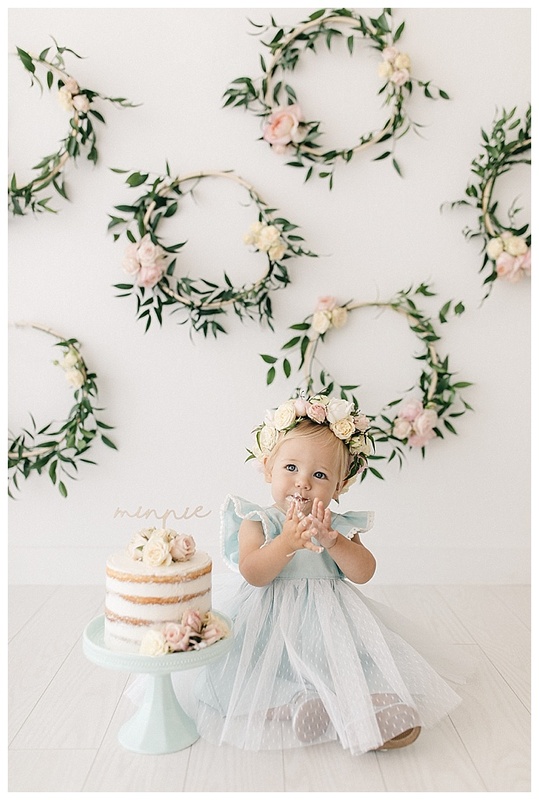 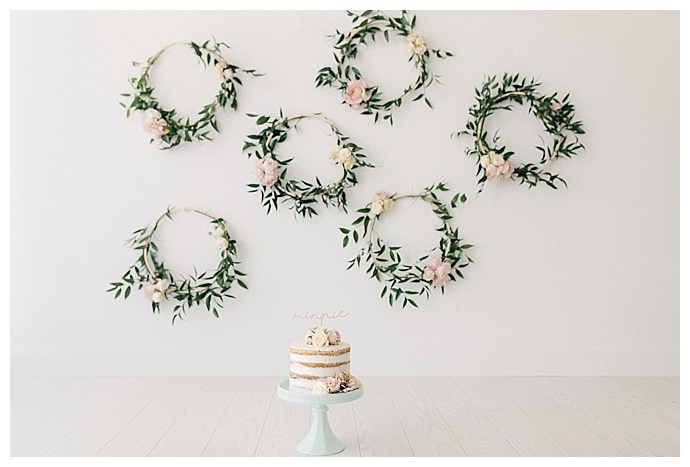 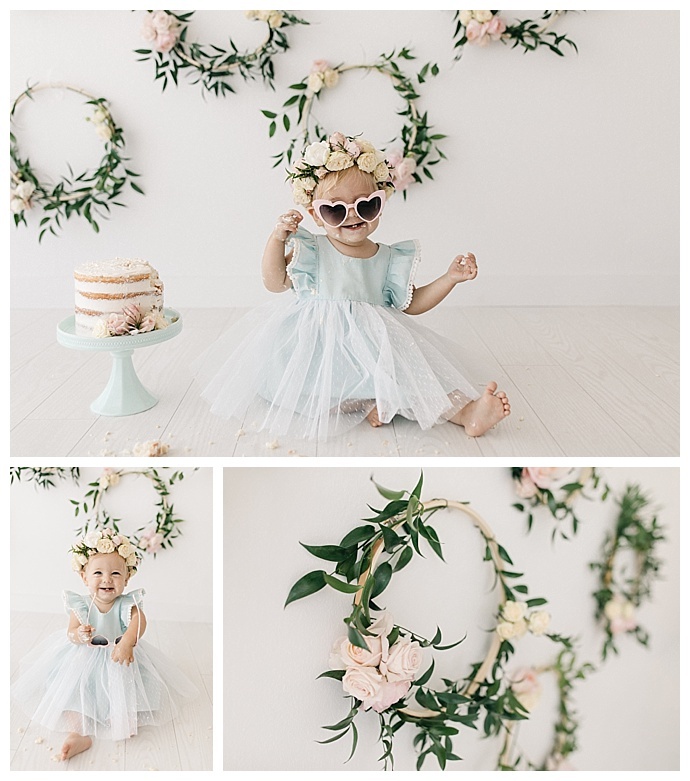 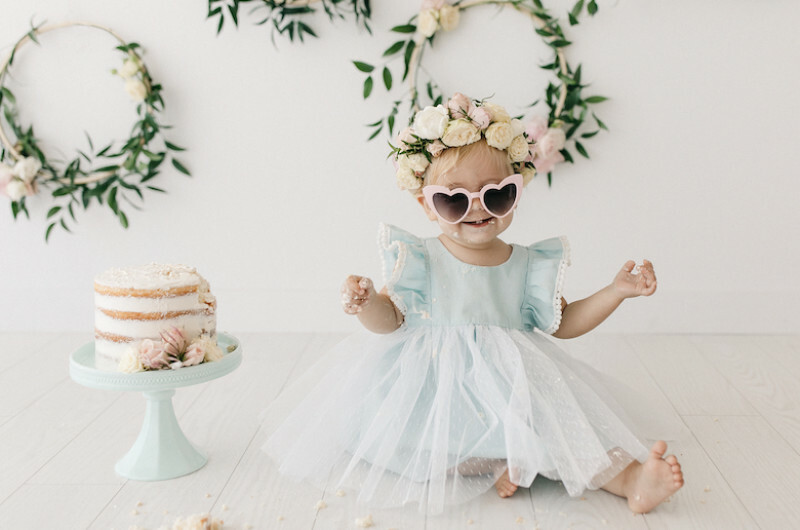 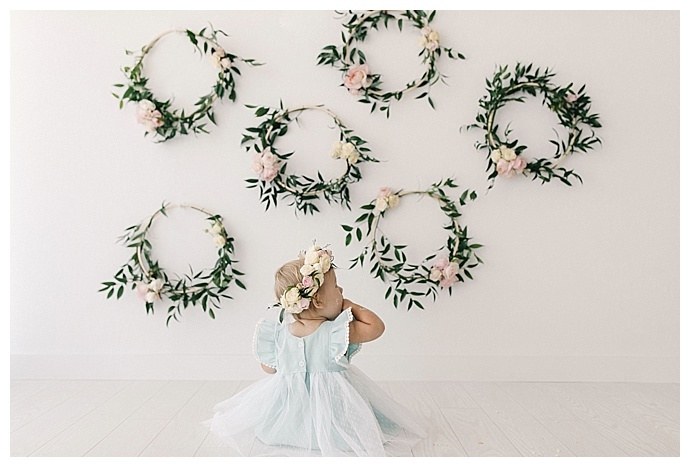 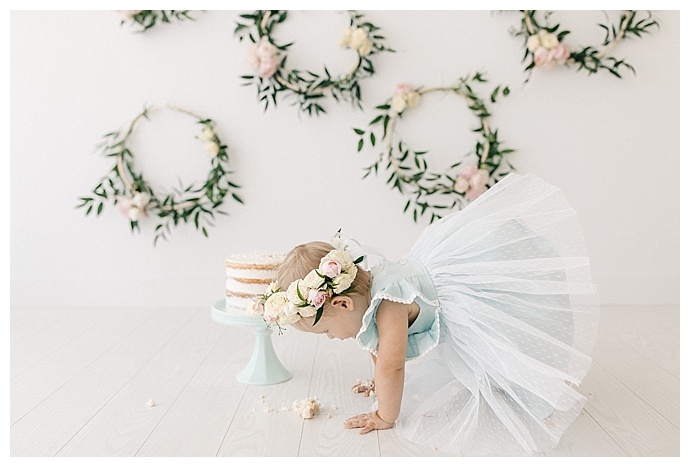 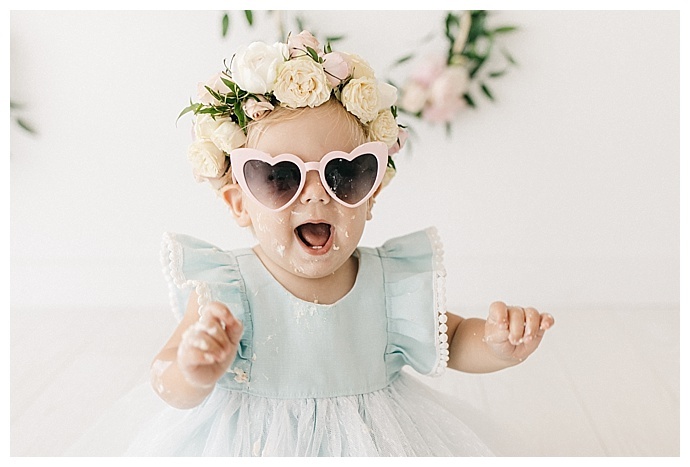 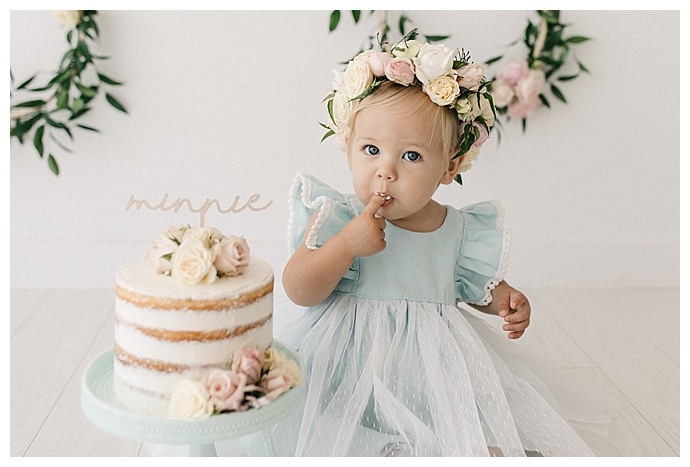 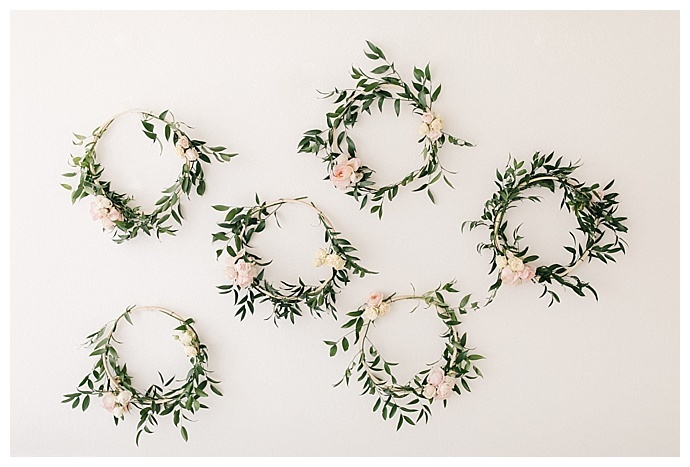 Mom Amber Harrison is in the wedding industry as the stationery and etiquette expert for Shutterfly, so it’s no surprise that this sesh is beautifully styled, with Minnie wearing a soft blue dress from Joy Marie and a floral crown that perfectly matches the wreath backdrop, and later adding heart-shaped shades for an extra adorable factor. 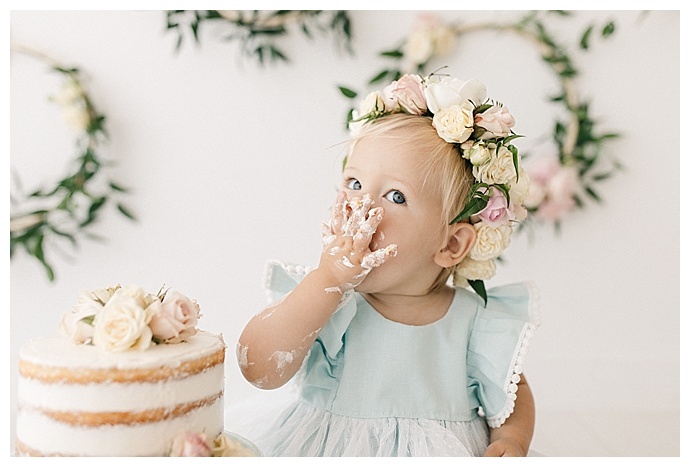 Corinne McCoombs captured her first foray into sweets perfectly — hesitation at first and then the revelation that sugar is delicious.